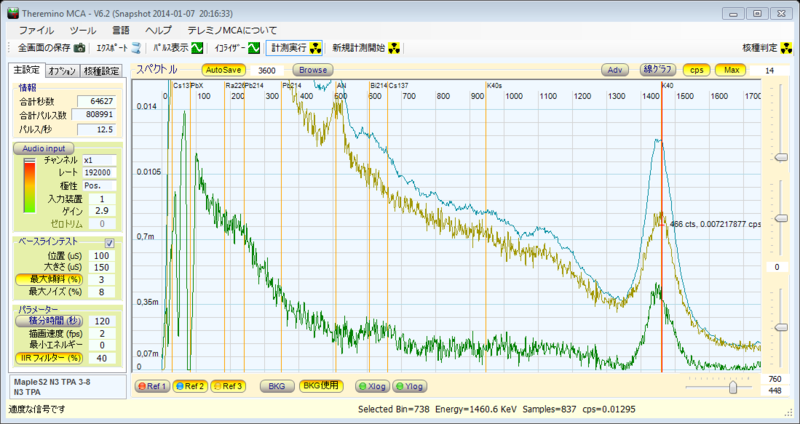 I used the lead shielding of about 8cm thickness and used 3 inch NaI probe (About $1000) + Theremino Pmt Adapter. 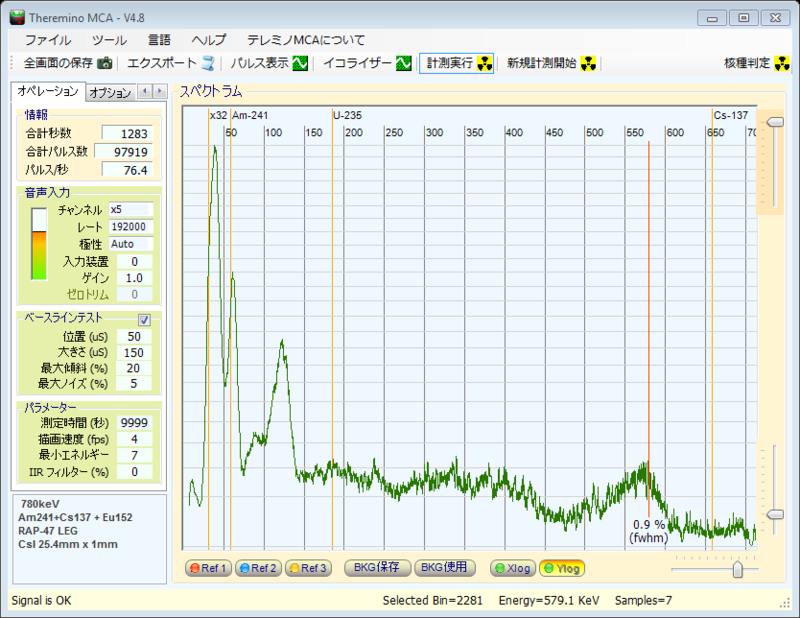 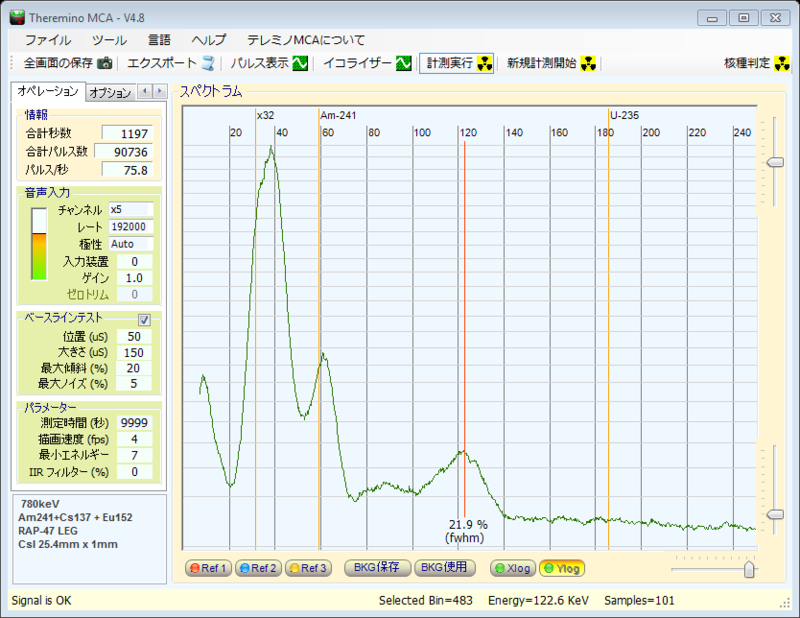 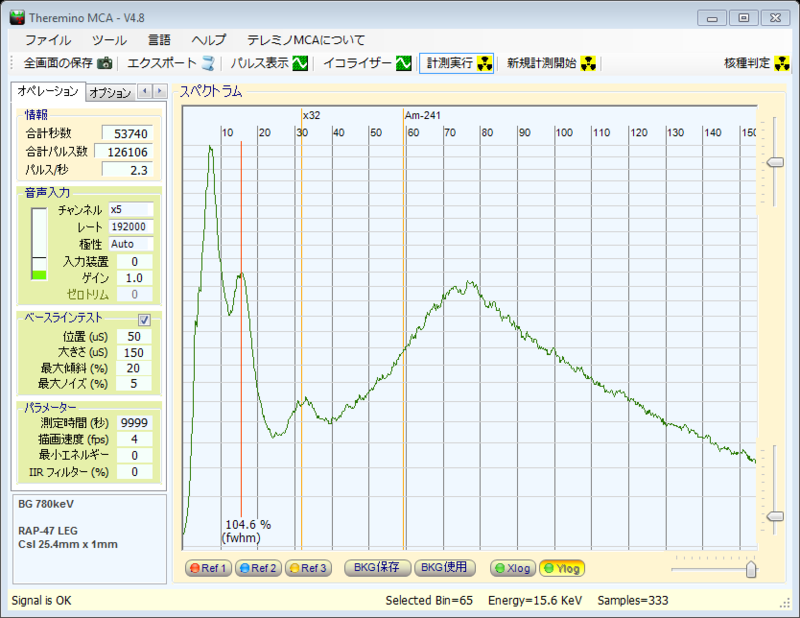 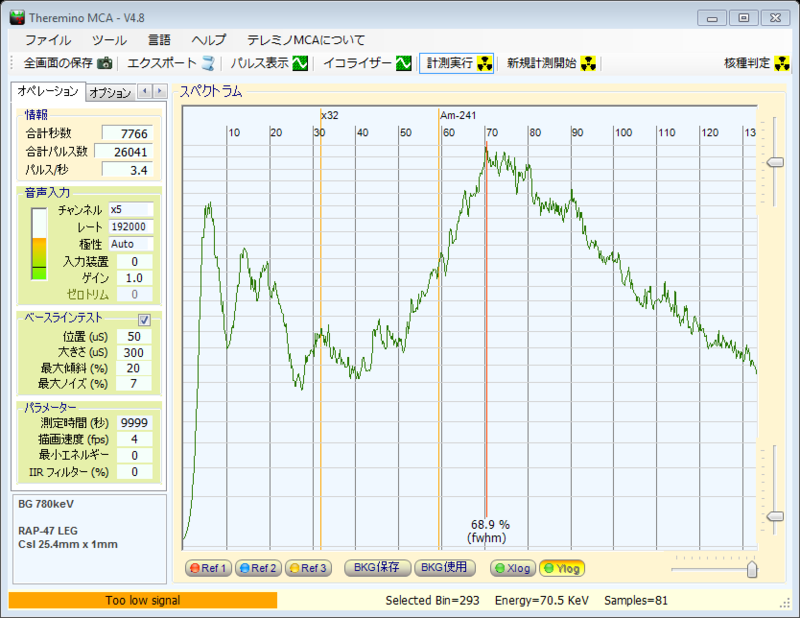 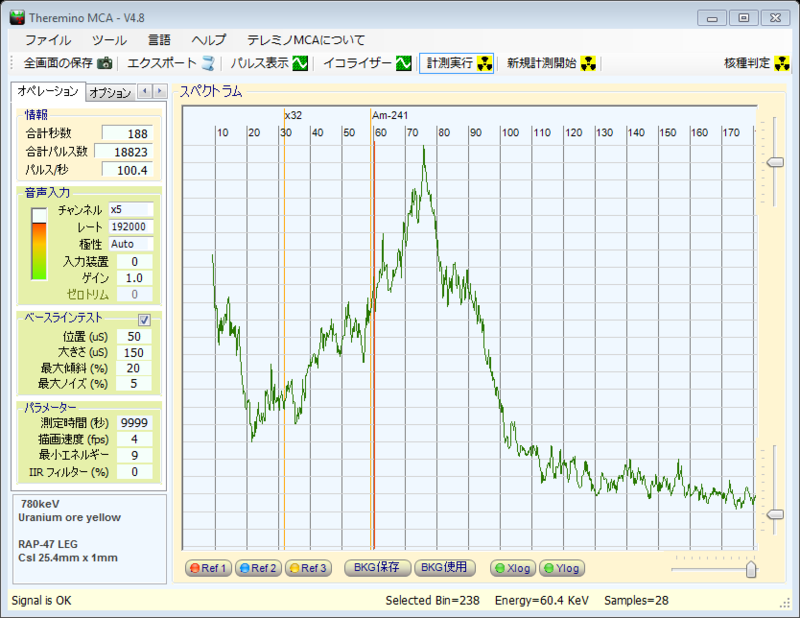 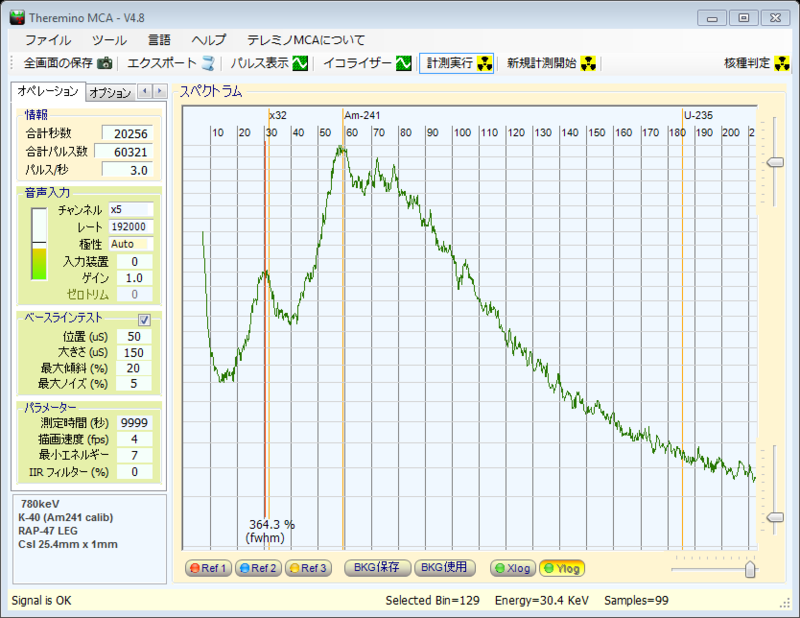 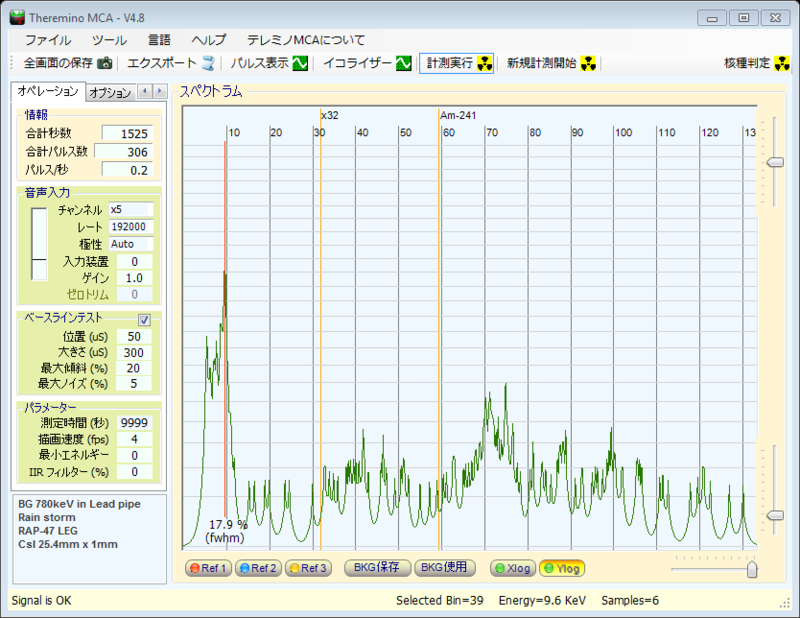 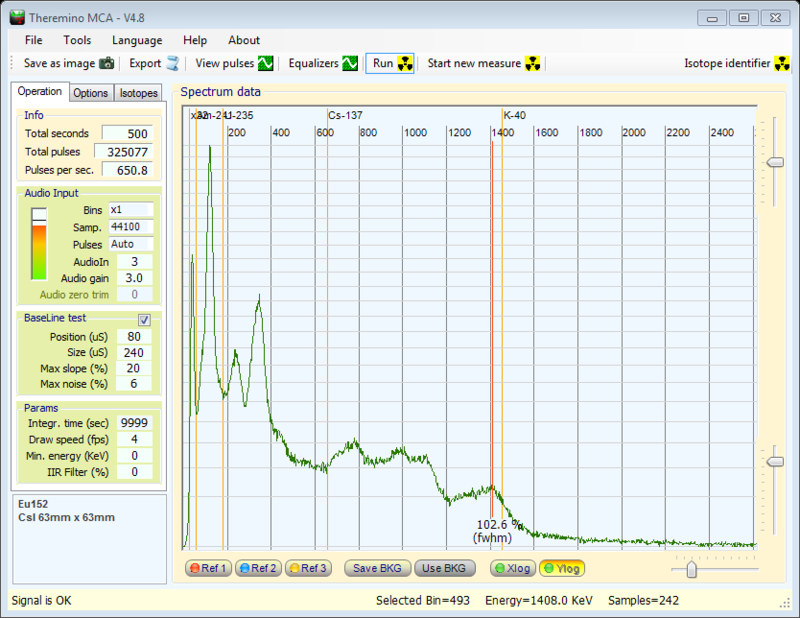 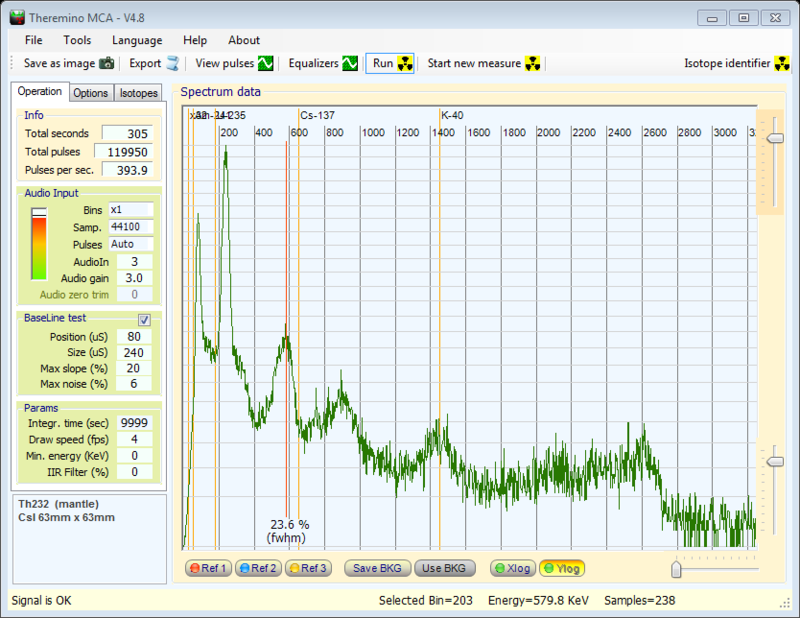 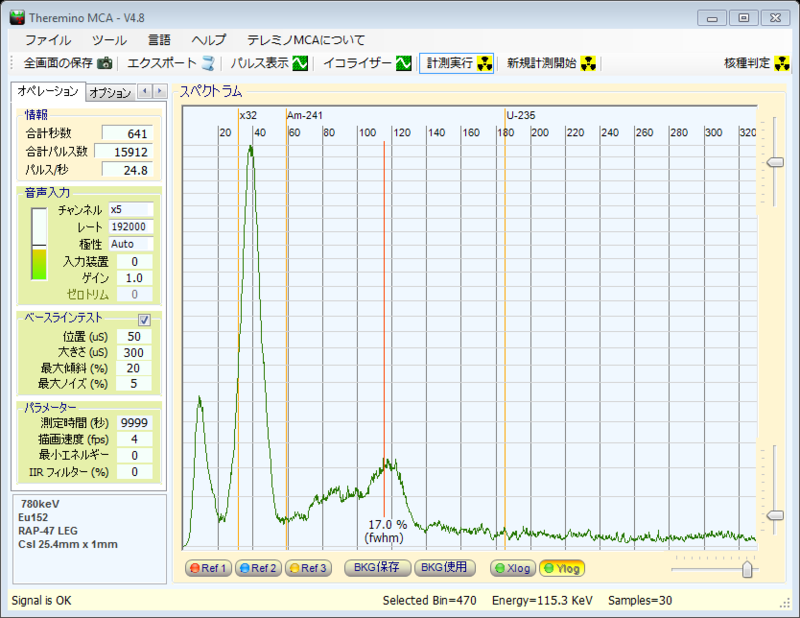 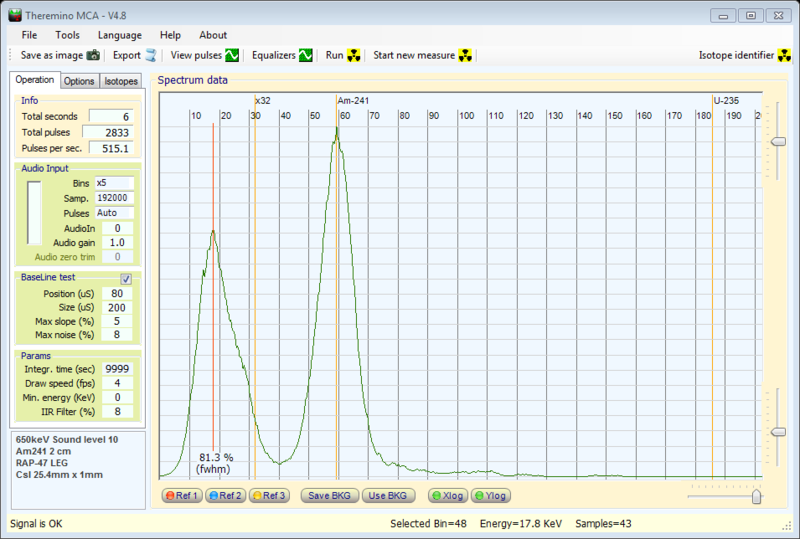 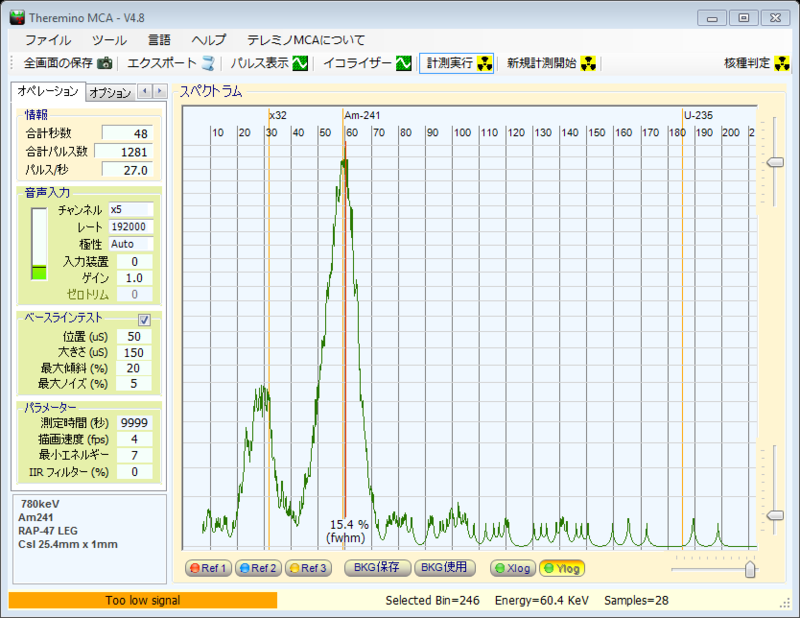 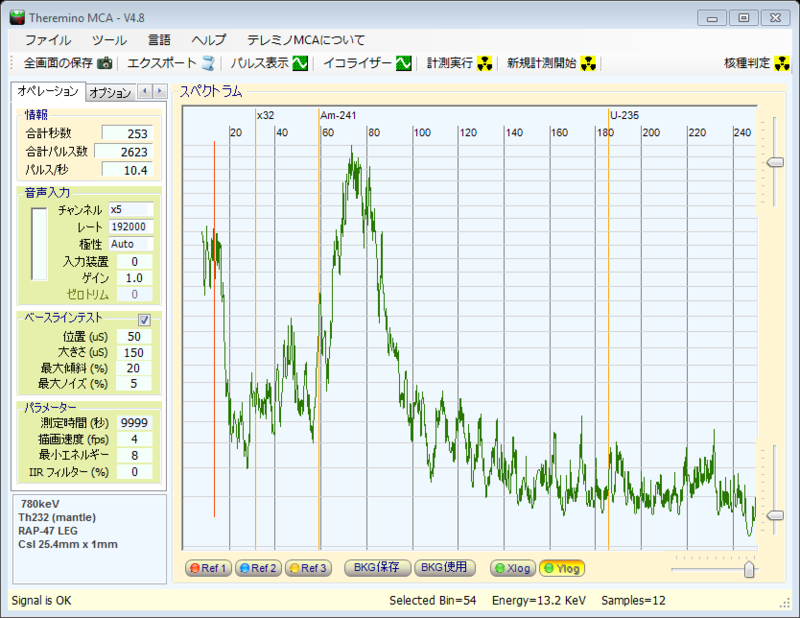 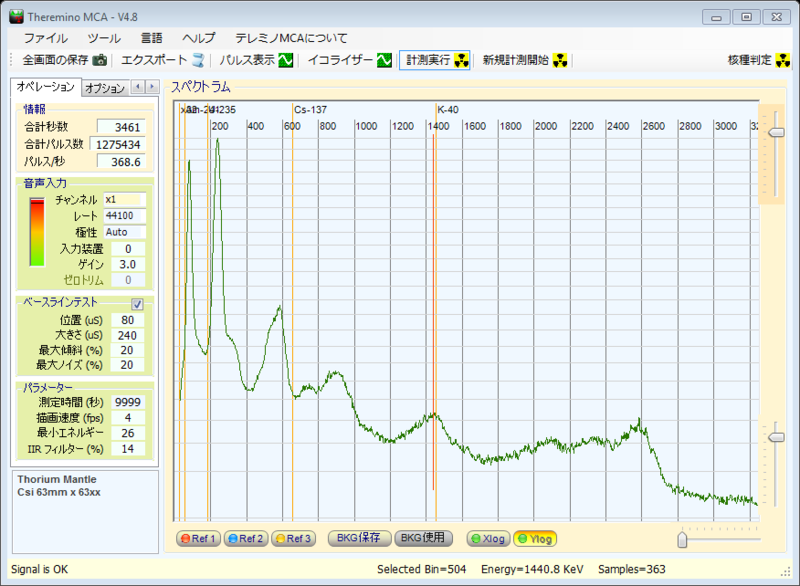 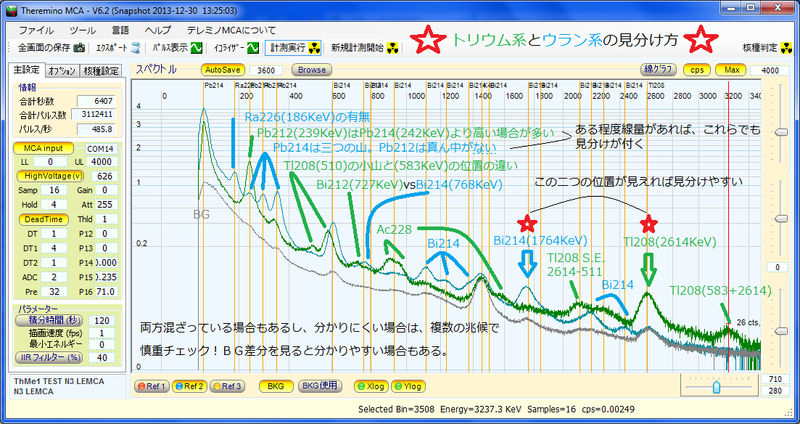 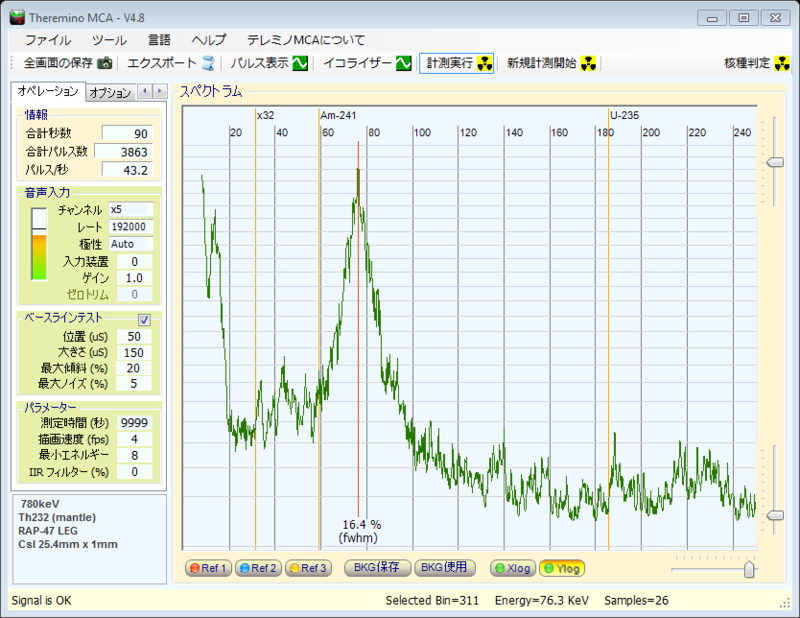 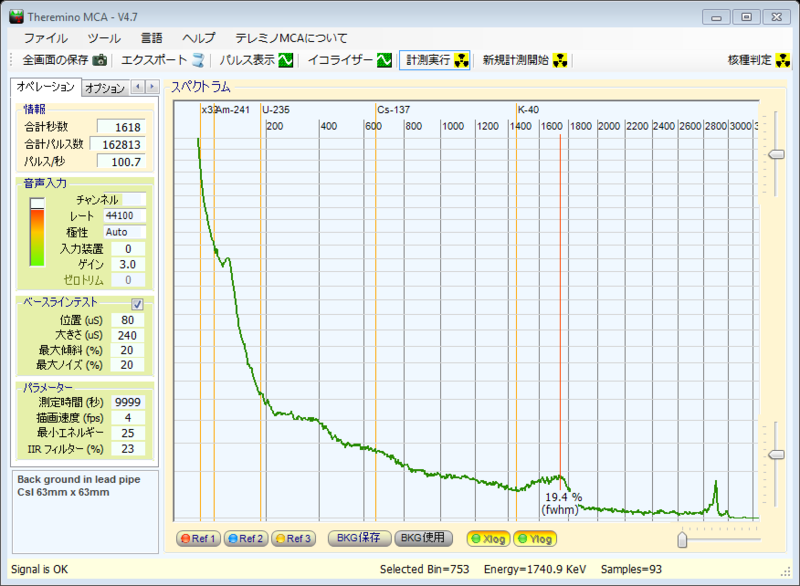 Spectrum of Thorium lantern mantle (Green line), Uranium ore (light blue line), and Background (grey line) measured by used 3 inch NaI probe (the same one as the above) + Digital MCA-1301 by FUI Japans using modified ThereminoMCA. 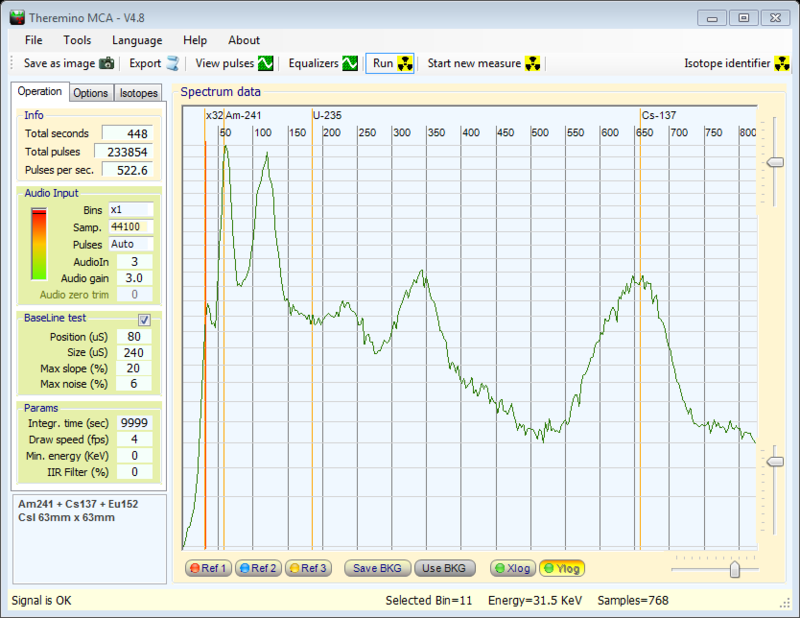 The lower peak isn't at the 26KeV nor 14KeV.